F 1/c Edgar L. Haynes, Jr., son of Mr. and Mrs. Edgar L. Haynes, graduated from Victory No. 11 High School. 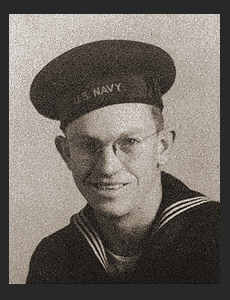 Entered Navy in Sept., 1943, trained in Camp Wood, Idaho, Astonia, Ore., Bremerton, Wash.; is now on duty in Saipan.